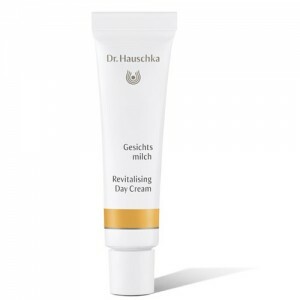 Dr Hauschka Revitaling Day Cream has a pleasant, stimulating and unusual aroma and a light liquid consistency that is easily absorbed. It acts to regulate the skin's oil and moisture contents and provides protection while enlivening the natural moisturising processes by stimulating the blood and lymph circulation. This will reinvigorate the pale complexion. This preparation has a subtle and harmonious ingredient blend. Its main constituents are anthyllis extract that balances and helps the skin's regenerative processes; witch hazel extract has astringent, toning qualities, which stimulate blood circulation and strengthen the capillaries - it also has anti-inflammatory and anti-oxidant properties. Also contained is carrot extract, which is an excellent emollient (softening and soothing properties). Calendula extract has astringent and antiseptic properties that tone and soothe, leaving the skin feeling supple. St. Johns wort extract stimulates new skin growth and has antibacterial properties. Water/Aqua, Anthyllis Vulneraria Extract, Prunus Armeniaca (Apricot) Kernel Oil, Alcohol, Hamamelis Virginiana (Witch Hazel) Extract, Prunus Amygdalus Dulcis (Sweet Almond) Oil, Olea Europaea (Olive) Fruit Oil, Daucus Carota Sativa (Carrot) Root Extract, Arachis Hypogaea (Peanut) Oil, Triticum Vulgare (Wheat) Germ Oil, Hypericum Perforatum Extract, Glycerin, Calendula Officinalis Flower Extract, Lecithin, Simmondsia Chinensis (Jojoba) Seed Oil, Fragrance/Parfum*, Limonene, Linalool, Farnesol, Benzyl Benzoate, Geraniol, Citronellol, Citral, Eugenol, Benzyl Salicylate, Algin, Xanthan Gum *purely from essential oils and plant extracts - does not contain synthetic fragrance. Use in the morning after cleansing cream and facial toner. Dispense some Moisturising Day Cream into the palm of your hand - a little goes a long way! Gently apply to the face, neck and earlobes, pressing gently until it is absorbed. It is an ideal moisturiser for men as it is absorbed quickly and leaves no oily sheen. Mix with a couple of drops of Translucent Bronze Concentrate for a tinted moisturiser. 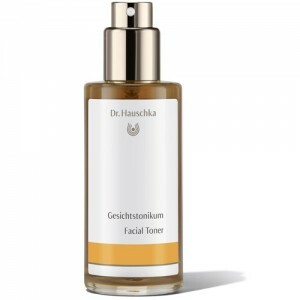 Moisturising Day Cream, or indeed any of the Dr.Hauschka moisturisers, should not be used at night time as the Dr.Hauschka regime believes that the daily use of night creams can mean that the skin becomes dependant on an external source of moisture rather than producing its own . If you have been using night creams for a long time, then your skin may need extra support in the changeover period to Dr.Hauschka, and in this case, we recommend a course of the Rhythmic Night Conditioner ampoules.